Bourbon. Glazed. Pound. Cake. 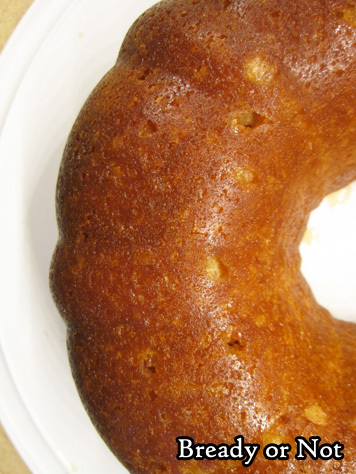 This thing is easy to make and tastes like a boozy version of a cruller. Yes, a cruller. Those yummy braided-style glazed donuts. Slathered in bourbon. I based this recipe on one in Bake From Scratch Magazine (Holiday 2016) but I altered it a good bit, especially in regards to the glaze. 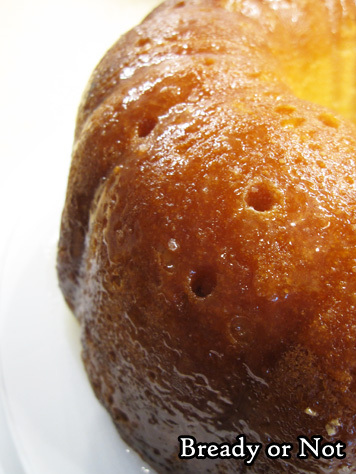 When I use a thin, sugary glaze on a bundt cake, I like to use a method I learned from the Great British Bake Off. I use the pan to help me make sure the glaze soaks into the entire cake. 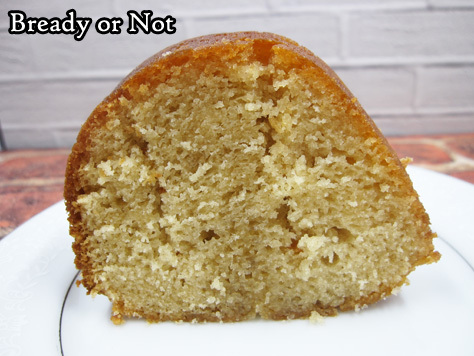 I’ve had too many cakes where the bottom middle of the cake ends up devoid of glaze. Not so with this technique! Yes, you can taste the bourbon in the end result. No, I have no substitutions to offer. I don’t know what this recipe would be without that particular reinforcement. Bake until it passes the toothpick test, about 1 hour to 1 hour 15 minutes. Let cool in pan for 15 minutes, then upend onto wire rack. Set aside the pan--don't wash it! Let the cake completely cool for a few hours. 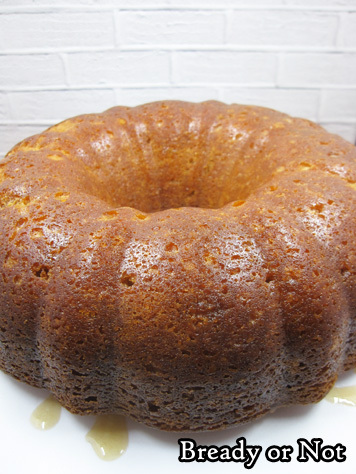 This bundt cake tastes just like a fluffy pancake with maple syrup. I am dead serious. On this date, my 18th anniversary, I celebrate by sharing this amazing not-a-pancake-but-tastes-like-pancake cake. It’ll blow your mind. The original recipe was from King Arthur Flour, but I turned it into a poke cake because I didn’t want all the glaze on the outside. I wanted to infuse it. I wanted the dough to marinate in glorious maple. 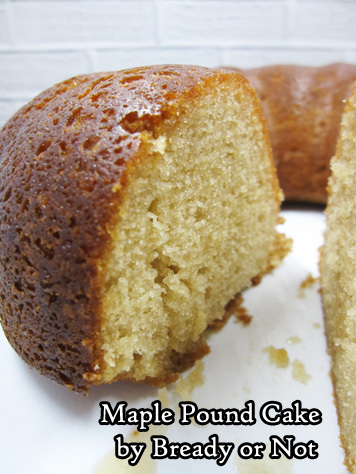 If you love maple, this is your new favorite pound cake. This would be great for breakfast if you need to feed a crowd. Bake this up the day before, and slice this up in the morning. No fussing over individual pancakes! Just eat more cake! Plus, no worries about leftovers. 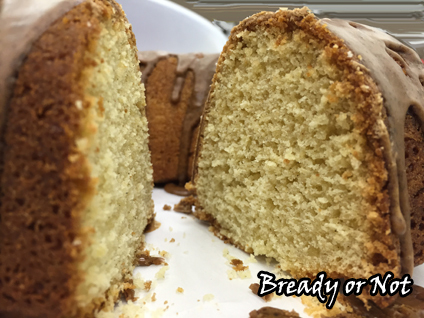 Bundt cakes like this are awesome because you can cut them into slices, freeze them up waxed paper, then transfer them to a freezer bag or container. Thaw them to eat, or zap them in the microwave straight from the freezer. In case it didn’t come across, you should know that this cake is awesome. You should make it. 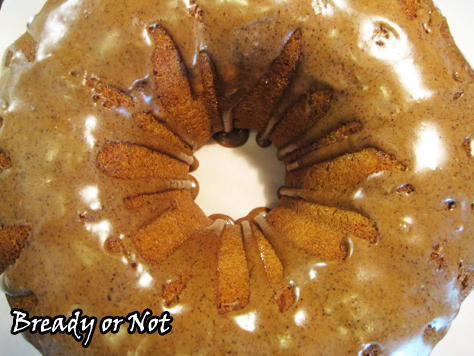 This easy-to-make bundt cake tastes just like pancakes slathered in maple syrup! It’s perfect for breakfast or dessert. Bake it the day before, and conveniently feed a crowd for breakfast. Preheat oven at 350-degrees. 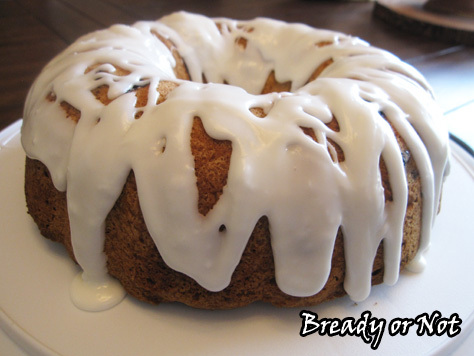 Grease a 9-or-10-cup bundt pan. 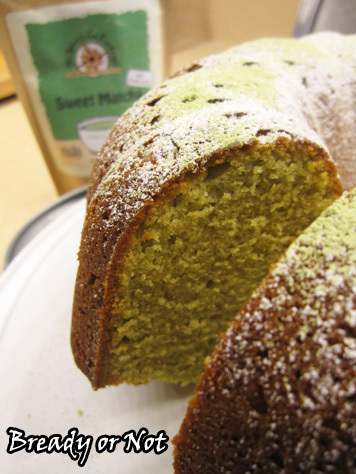 In a medium bowl, sift together the cake flour, baking powder, baking soda, and salt. Set aside. In a big mixing bowl, beat together the butter and brown sugar until light and fluffy. Add eggs one at a time, scraping sides of bowl in between. Pour in the maple syrup. Mix in half the flour mixture. Then stir in the sour cream, vanilla, and maple flavor. Add the rest of the flour mix, until everything is just combined. Pour into the prepared pan. 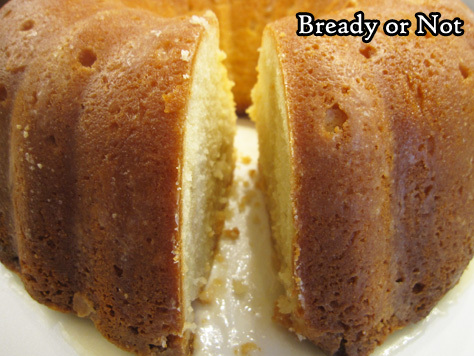 Bake for 45 to 50 minutes, until a cake tester inserted into the middle comes out clean. Let cool on rack for 10 minutes, then invert the cake onto the rack. Don't wash the pan! Set it aside for now. After an hour and a half--or longer--begin making the glaze. In a medium saucepan, combine all three glaze ingredients. Bring it a rapid boil, then reduce to a simmer for 5 to 8 minutes, until it thickens to a syrupy consistency. Remove pan from heat. Carefully invert the cooled cake into the pan again. 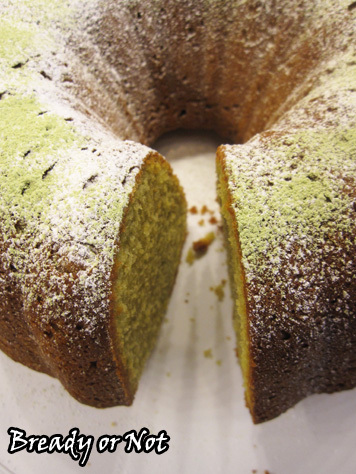 Use a chopstick or skewer to stab all over the cake. Slowly spoon or pour about half the glaze into the holes and edges. Let it rest a few minutes. 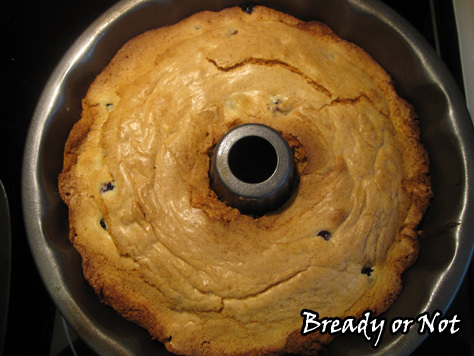 Invert the cake again onto the cake pan base or a storage plate. 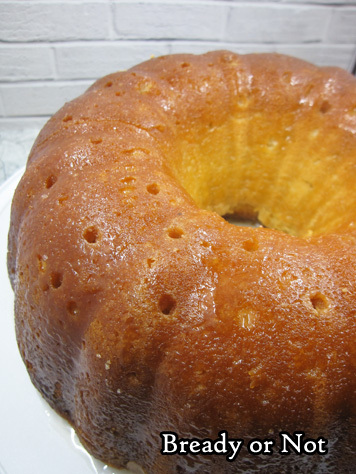 Again, stab the top of the cake to create holes, then spoon the rest of the glaze on. 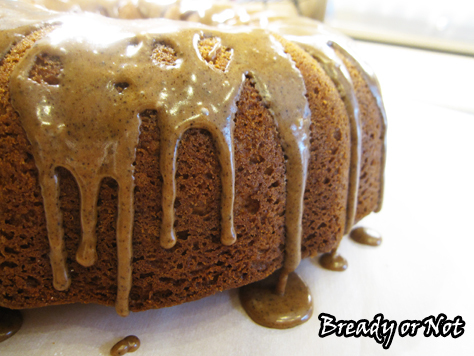 Can also use a basting brush to cover the exterior of the cake and sweep up any drippings. Store cake covered at room temperature. Slices can also be frozen. 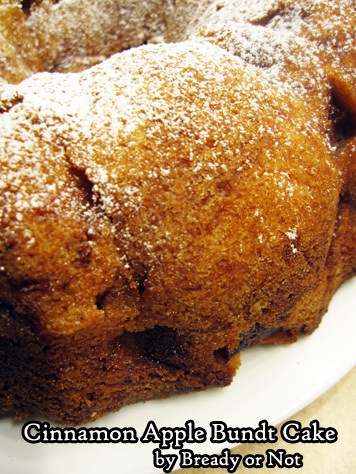 Apple cake and apple pie are the favorites of the men in my family, and this Cinnamon Apple Bundt Cake met their full approval! 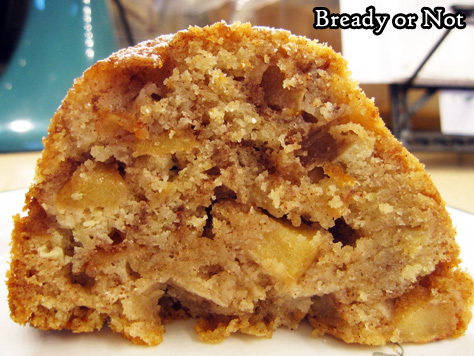 I try out different apple recipes on a regular basis; my apple tag on the site attests to that. 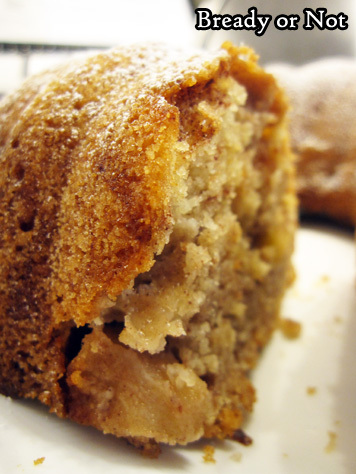 This recipe resembles another old favorite of mine, my basic apple cake that is made in a square baking pan. 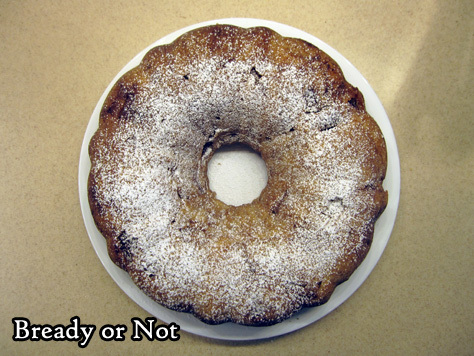 The new recipe, however, makes more cake with an overall showier presentation. 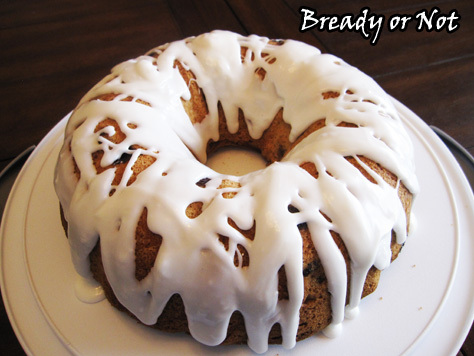 I love that sprinkle of confectioners’ sugar on top! 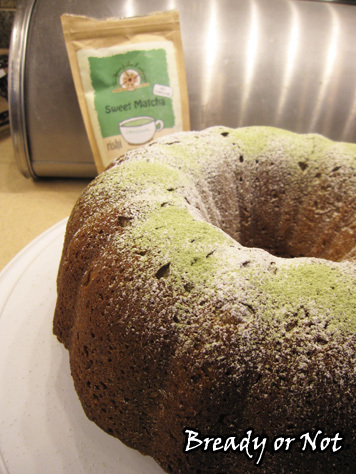 The most difficult thing about making this cake is peeling and chopping up the apples. After that, everything comes together quite quickly. 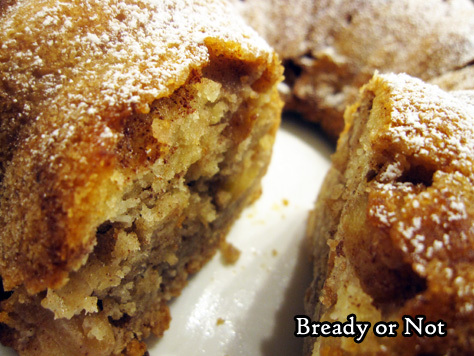 The end result is a tender, moist cake flecked with apple chunks. It’s the perfect breakfast, snack, or dessert, and is tasty hot or cold. 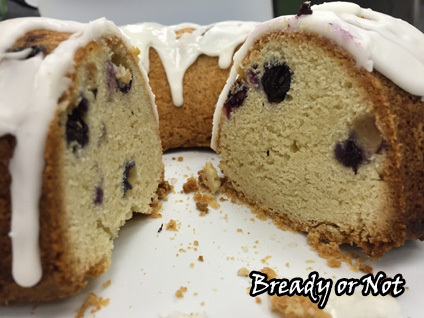 Modified from Taste of Home Sunday Best 2015. It’s June and hey, let’s eat cake! 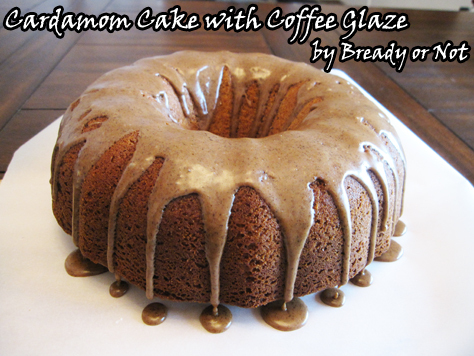 Cardamom Cake with Coffee Glaze. 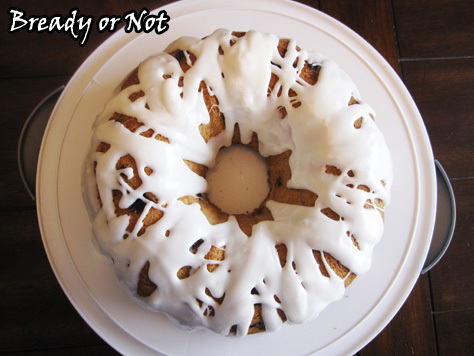 A bundt cake full of sugar and glory and cardamom-y goodness. I read a lot of books. I also read a lot of magazines. One of my favorite things to do is hit up a good used book store or library book sale and buy stacks of older food magazines to raid for recipes. 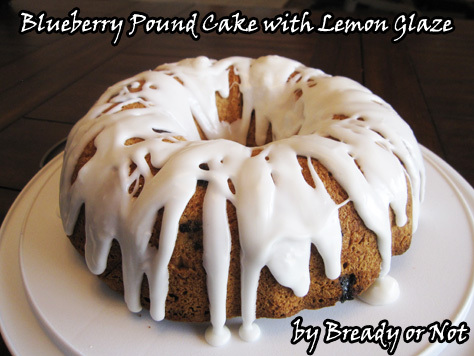 That’s how I found the original recipe for this in an October 2013 issue of Country Living. 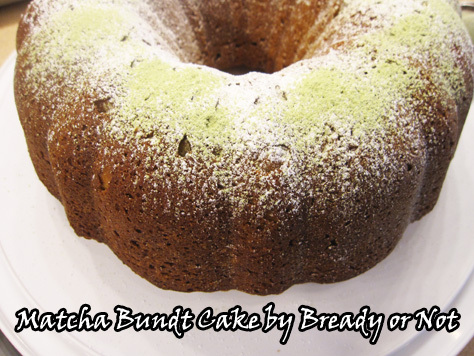 I modified it, removing pistachios and tweaking here and there, and created a cake that earned the utter adoration of my husband’s co-workers. Coffee and cardamom is a fantastic flavor combination. 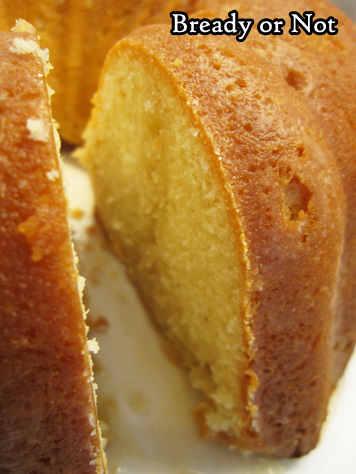 You might remember the Cardamom Coffee Pound cake I posted last fall. 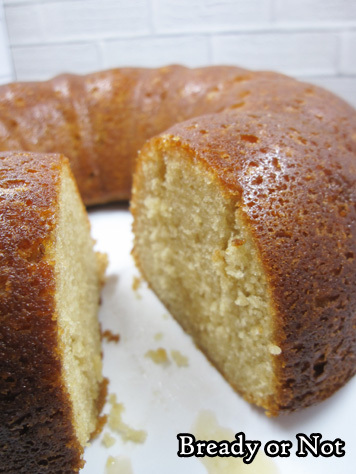 This bundt cake is like that awesome loaf cake, and so much more. It’s bigger, for one, being a full-size cake. 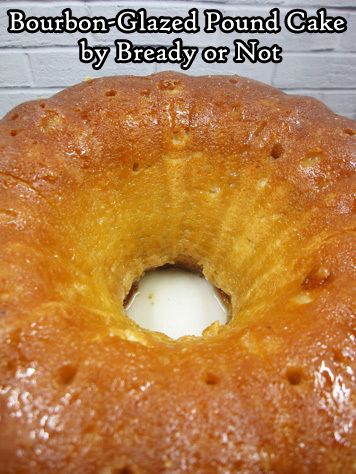 It has a kinda pound cake thing going, too. 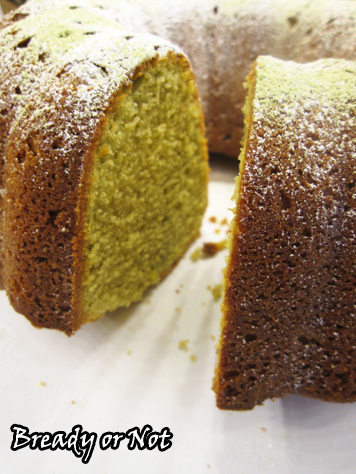 The sour cream does miraculous thing for cake texture, creating crumb that is dense, not crumbly. This is a cake you can eat out of hand, no saucer required. And you’ll want to lick your fingers clean, too, because the glaze includes espresso powder (one of my favorite ingredients to keep around) and sugar. If the caffeine doesn’t boost your day, you know the sugar will! 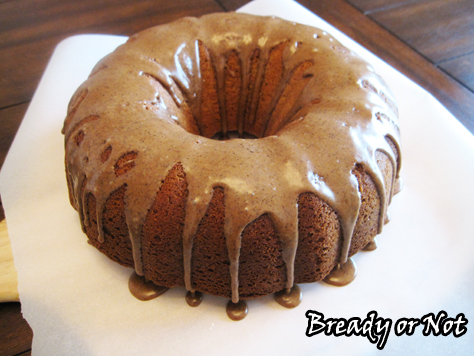 This amazing bundt cake pairs two fabulous flavors: cardamom and coffee! Eat this for breakfast or dessert. 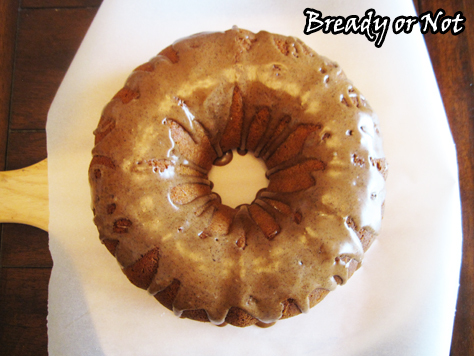 Modified from recipe in Country Living Magazine, October 2013. Preheat oven to 350-degrees. 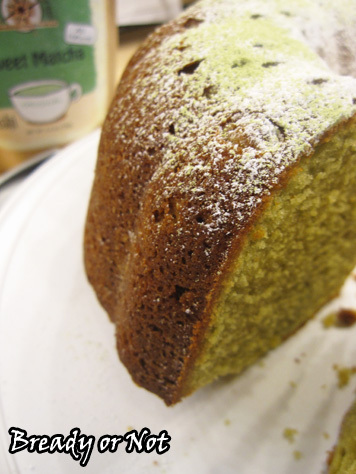 Generously butter a 10 or 12-cup Bundt pan. Dust the pan with fine bread crumbs; a toasted and pulverized half heel of bread will do. Apply cooking spray over the bread crumbs. In a medium bowl, whisk together flour, cardamom, baking powder, baking soda, and salt; set aside. 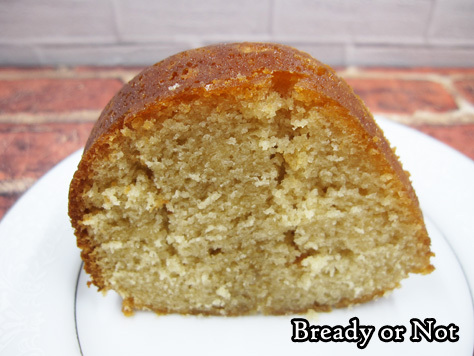 In a large bowl, use a mixer on medium to beat the butter and sugar until light and fluffy. Add eggs one at a time followed by the vanilla extract, beating until very pale yellow. Reduce the mixer speed and alternate between adding the flour mix and the sour cream into the butter blend. Pour the batter into the prepared pan, using a rubber spatula. 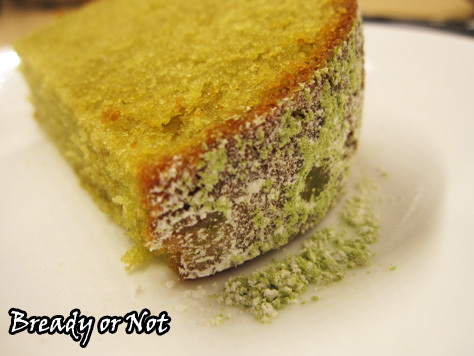 Bake cake until a wooden toothpick inserted into the cake comes out dry with only a few moist crumbs attached, 45 to 50 minutes. Transfer pan to a wire rack to cool for 30 minutes, then invert cake onto rack to completely cool. 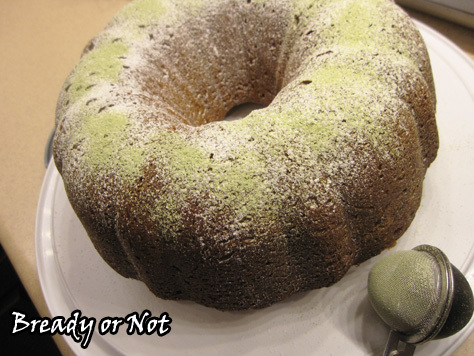 Once cool, move cake to cake plate and prepare glaze. Whisk together sugar, espresso powder, and cocoa powder. 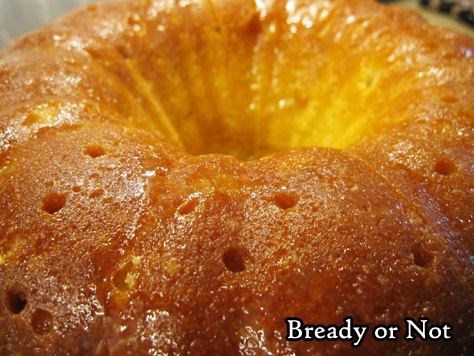 Add milk and stir, adding more milk as needed until glaze is just thin enough to drizzle. Dribble over cake.